The NP300 Hardbody represents the 16th generation of the popular Hardbody, which has established itself as a tried and trusted name within the South African one-tonne market. 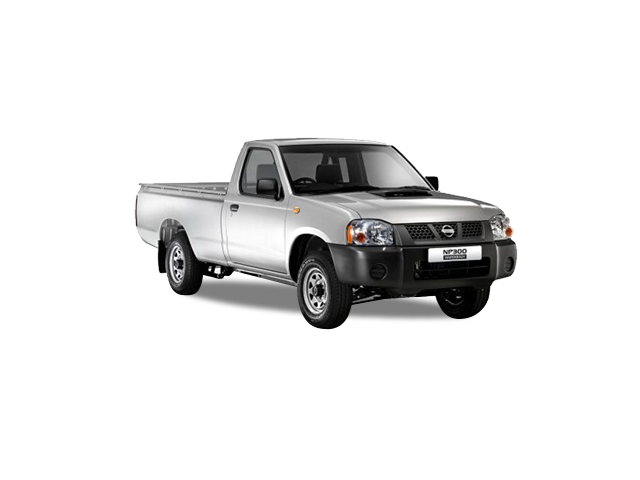 Although the NP300 nomenclature is new to the South African market, globally the Hardbody is known as the NP300 with ‘N’ standing for Nissan and the ‘P’ for Pickup, while the ‘300’ is the series number in the commercial line-up. The NP300 Hardbody range is available in two configurations; Workhorse and Hi- Rider available in Single Cab and Double Cab derivatives. The workhorse models are available in short and long-wheelbase configurations in either petrol and or diesel guise. Powering the range is a 2.5-litre common rail diesel engine producing 98kW at 3 600rpm and 304Nm at 2 000rpm. In addition, to the new powerful diesel option customers have two petrol engine derivatives to choose from - both of which have been upgraded to comply with EURO2 emission regulations. The 2.0litre (1 998cc) petrol model now produces 84kW at 5 600rpm and offers 169Nm at 3 200rpm, while the 2.4 litre (2 389cc) petrol model produces 105kW at 5 600rpm and 205Nm at 3 600rpm.